Novosoft’s Handy Backup has evolved over time and the latest version available shows that this backup software is set to provide an even more effective and easy solution. If you are wondering if Handy Backup is the right option for you, we’ll help you to answer that question by taking a look at the main features and aspects that you need to consider about this service. The first thing to keep in mind is that due to an ongoing legal dispute over the use of the name, you will come across two different programs called Handy Backup. We will focus on Novosoft’s product, which is available on www.handybackup.net and that is a reliable and up to date software. Currently, Handy Backup is in its 7th edition (7.8.7) and new upgrades are regularly being implemented. We will find out more about Handy Backup in this review. There are different solutions available, each one designed to suit specific needs. For home use, you can opt for the Standard or the Professional edition. There is a version designed for Small Business, as well as a network backup software and a solution focused on Windows server backup. At the moment, you can get the Standard software for $39, while the Professional edition costs $99 and the Small Business solution is priced at $249. Free trials of the software are on offer so you can check what Handy Backup offers before paying for a full license. Additionally, users who have previous versions of Handy Backup can upgrade to the new edition at a discounted price. Handy Backup has a well-rounded feature set that will take care of most home users’ needs. In addition to rich backup features, it also has synchronization tools that make it possible to transfer and update files among an unlimited number of devices. This helps remove the burden of manually transferring data with a medium such as a flash drive or DVD. Handy Backup is a comprehensive solution for Windows users who need to backup, restore and sync data. The new version of Handy Backup offers an improved interface that allows users to manage the functionality of the software more effectively. There are plug-ins that allow you to back up popular cloud services such as OneDrive, Dropbox and Google Drive. 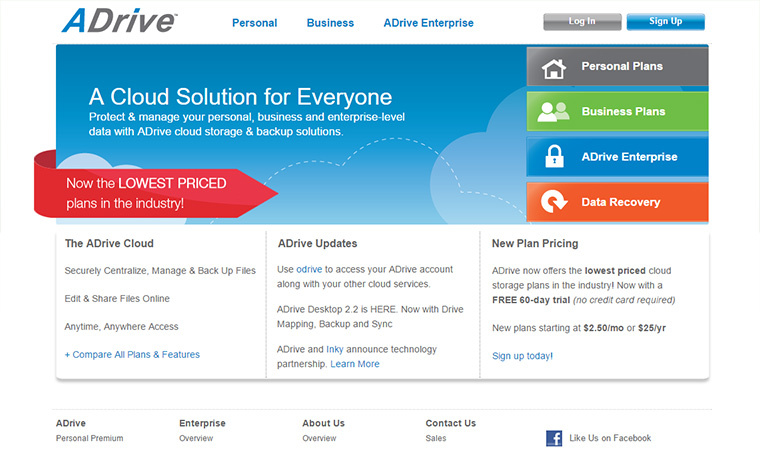 The Professional edition also allows users to backup to advanced solutions like Amazon S3 and Novosoft’s HBDrive. Other cloud storage options supported are FTP, SFTP and WebDAV. The expansion of the cloud backup section ensures that Windows users can enjoy a comprehensive solution to back up data from multiple cloud services in an efficient and automated manner. External hard drives, memory cards and NAS are alternative storage methods that Handy Backup also works with. Multiple backup types are supported including full, incremental and differential. With the incremental backup option, only the changes made to a file are backed up, instead of the whole file. It is also possible to opt for mixed backup (full and differential) and mirroring data. Backups can be protected with 128-bit encryption and secured with a password. This will keep your data protected from possible threats. As part of the controlling and reporting features, Handy Backup gives you the possibility of accessing all your backup activity on an extended task log. To stay up to date with the progress of your backups, you can also receive email notifications. 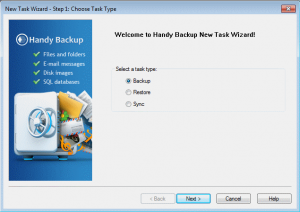 Handy Backup had already built a reputation as an effective solution for FTP backup and thanks to the update in the new version of the software, it is now possible to back up remotely to FTPS. Combining the secure data transfer that FTPS provides and the data storage protection that Handy Backup offers through its remote backup service, allows you to ensure that your information is not compromised. The files are kept in servers of a professional data center, where they are protected with the highest level of security. Backups can be scheduled to take place on a daily, weekly or monthly basis. Alternatively, you can select the time and specify the frequency of the backups according to your preferences. You can also synchronize data between two folders on your home computer, or on a external drive. It is also possible to sync files across your cloud accounts. Handy Backup offers an array of convenient synchronization features including automated data selection and precise task scheduling. 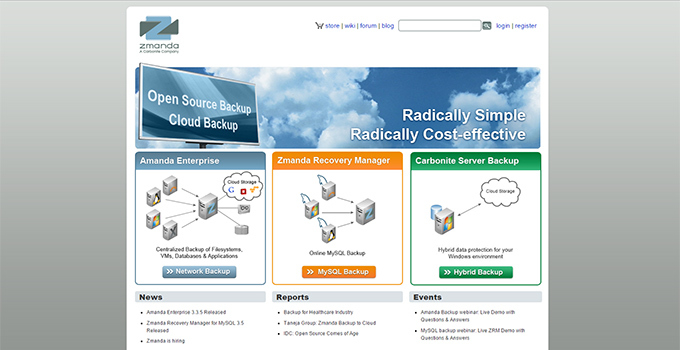 Handy Backup has also created software for advanced network requirements. 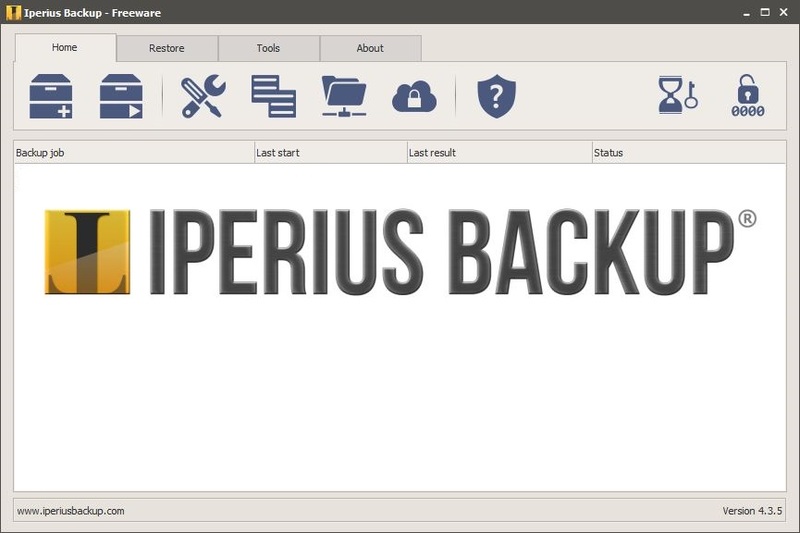 The Backup Network solution is designed for backing up and restoring data via the network. It is the right choice for a small office or a large household with multiple computers. They also offer a Server Network solution that provides centralized backup for network stations and network servers. For the most efficient synchronization experience, Handy Backup supports Rsync, which reduces the data transfer flow between two workstations in a network, helping to speed up the synchronization time. Support is available through a variety of channels. They offer more contact methods than most providers, including email, phone, Twitter, Skype, and ICQ. Free users may need to wait two days for a response, while paid customers have a guaranteed response time of 24 hours. The website offers excellent support resources, including guides and other documentation that will help you to get the most out of the software. You can find detailed information about the options available and even a helpful comparison chart that will allow you to choose the right version for you. So, when it’s all said and done, is Handy Backup worth it? Well, the backup features are admittedly handy – and they could be a real life saver. The software has been significantly improved over the years and the latest version includes good upgrades. Plus, there are multiple plug-ins that can help you to customize your experience with Handy Backup. Overall, Handy Backup is true to its name and helps to simplify the backup and restoration process. 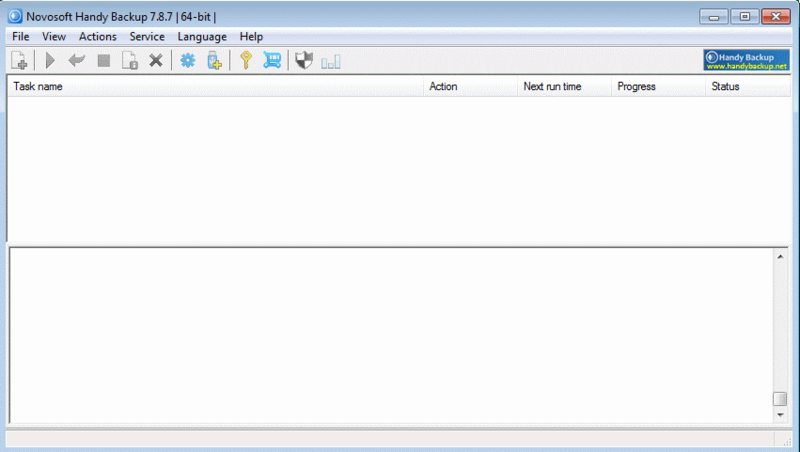 Novosoft is regularly enhancing the software so it is likely that new features are added in the near future.